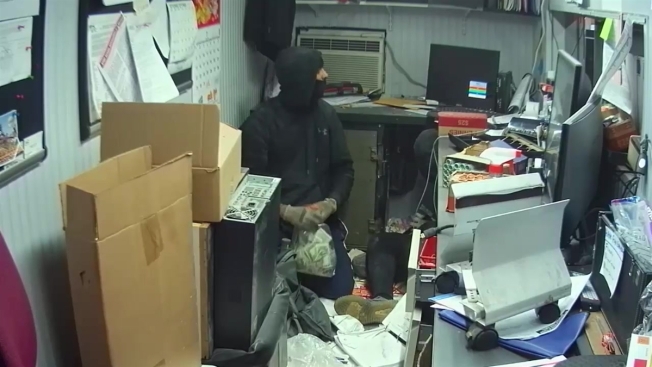 A pair of masked marauders broke into a Bronx supermarket through a brick wall in the back of the building, made their way into an office and opened a safe using a torch over the weekend in a dramatic heist caught on camera, police say. The suspects made their move at the C-Town Supermarket on Sedgwick Avenue around 2 a.m. Saturday. Surveillance video shows them using a blowtorch on the safe; as sparks fly, one of the masked men slowly looks toward the camera. Cops say they stole $10,000 in cash and ran off. Anyone with information about the burglary is asked to call 1-800-577-TIPS.